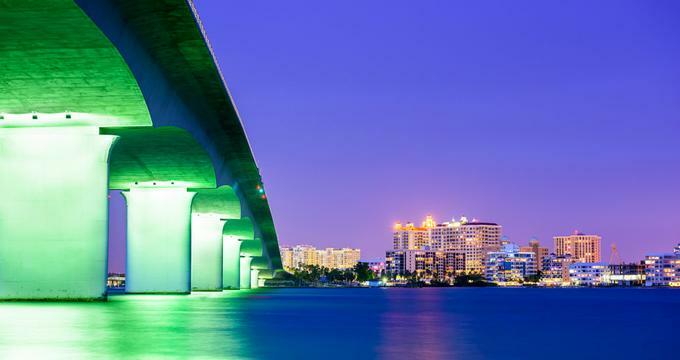 Located on Florida's Gulf Coast, Sarasota is home to fascinating museums, beautiful gardens, romantic restaurants, and a diverse choice of attractions, making it a fun weekend destination for couples and families. Best things to do in Sarasota, FL include the Ringling museum, Sarasota Jungle Gardens, Marie Selby Botanical Gardens and the Big Cat Habitat. Theater, music and opera fans can head to the Van Wezel Performing Arts Hall, the Sarasota Opera House and the Beatrice Friedman Symphony Center. The Ringling is a fine art museum located on Bay Shore Road and one of the top Sarasota attractions. 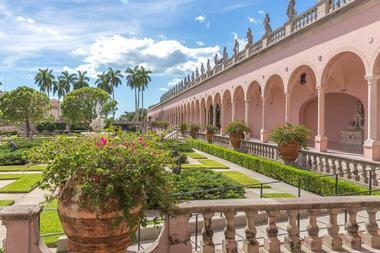 Established in 1927 from the artwork donated by Mable and John Ringling, it was designated as the state art museum of Florida and is maintained by Florida State University. The museum is made up of 21 galleries of American art, Asian art, contemporary art, European paintings, and ancient artifacts from Cyprus. The collection consists of over 10,000 objects including decorative arts, drawings, paintings, photographs, prints, and sculptures that range from antiquity to contemporary art. The museum contains works by Bernini, Boudin, Duchamp, Gainsborough, Poussin, Velaquez, and more. Its collection of Rubens paintings is world-renowned. 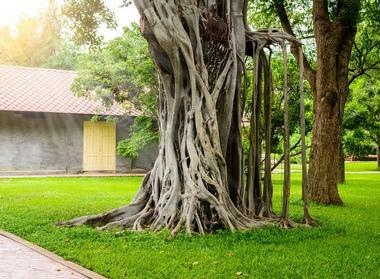 Located on South Palm Avenue bordering Sarasota Bay, Marie Selby Botanical Gardens is a large botanical garden in the Hudson Bayou neighborhood and one of the best things to do in Sarasota, Florida. Covering seven acres, the gardens are located on the grounds of the former home of Marie and William Selby. The gardens focus on collecting and presenting epiphytes such as bromeliads and orchids and their ecosystems. The gardens have the most diverse collection of bromeliads in the world. There are more than 20,000 plants that represent 6,000 species. The gardens feature more than 20 different habitats such as bamboo, live oaks, mangroves, succulents, and many more. Facilities include an herbarium, greenhouses, a research library, and others. 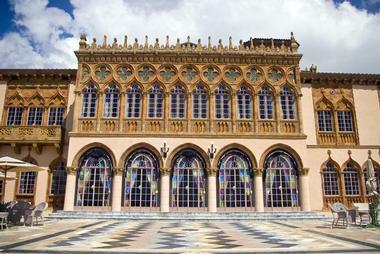 Ca d’Zan Mansion was the winter home of the American circus owner, John Ringling and his wife, Mable. Built between 1924 and 1926, the waterfront mansion is five stories high and contains 36,000 square feet. The Ringlings were lovers of Venice and the waterfront site reminded them of the lagoon in Venice. The style of the house is called Mediterranean Revival and shows the influence of the Doge’s Palace in Venice. The name of the mansion is Venetian for “House of John.” In addition to serving as a residence, the mansion also housed their large collection of art and artifacts. Docent led tours of the mansion are offered. Mote Marine Laboratory and Aquarium is a marine research center located on Ken Thompson Parkway on City Island in Sarasota. Founded in 1955, it was called the Cape Haze Marine Laboratory until 1967 when it was renamed in honor of benefactors Lenore and William R. Mote and his sister Betty Mote Rose. The laboratory is involved in marine and estuary research. 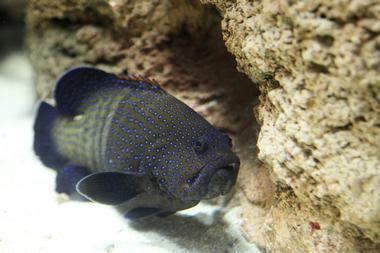 The aquarium is open to the public and is the home of over 100 marine species, especially local marine animals. Opened in 1980, the aquarium contains jellyfish, manatees, rays, seahorses, sea turtles, and more. The narrated shark feedings are a popular attraction at the aquarium. 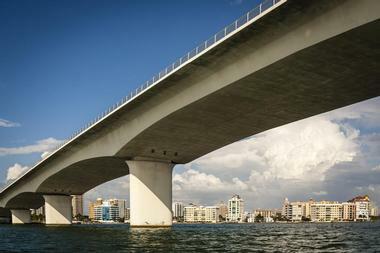 If you are wondering what to do in Sarasota with kids, this is a great place to visit. Educational programs include field visits, school visits, and summer camps. Not far from downtown Sarasota, the small island of Siesta Key sits on the gleaming Gulf of Mexico and boasts one of the best beaches in the country. In the heart of this quirky, fun island is Siesta Key Village, a colorful, lively village near the beach that is full of restaurants, shops, bars, spas, ice cream parlors, and much more. The village is all about shops, parties, and fun, and its festive atmosphere is just perfect for barhopping. The village really gets busy during the many festivals it hosts, so if you can, time your visit with one of them. The Siesta Fiesta is one of the more popular events. Check the nightlife as well; there is something for everyone. 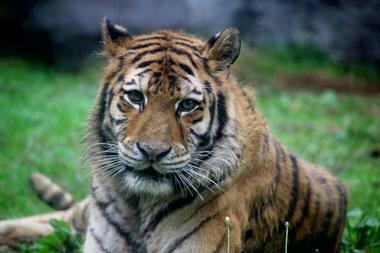 The Big Cat Habitat and Gulf Coast Sanctuary, located on Palmer Boulevard in Sarasota, is a safe haven for big cats and other animals. Founded in 1987 by Kay Rosaire, the sanctuary became a non-profit organization in 2005. It focuses on rescuing and caring for exotic cats and other animals such as bears, birds, and, at the same time, educating the public about the importance of wildlife preservation. The sanctuary features three large indoor/outdoor habitats complete with swimming pools and plants to create a natural environment. Training demonstrations with the big cats are presented to help visitors understand conservation and habitat preservation. Ed Smith Stadium is a baseball field and the home of the Baltimore Orioles spring training. Built in 1989 to replace Payne Park as a Minor League Baseball site and as a Spring Training location, the stadium was the spring training home for the Chicago White Sox from 1989 to 1997; the Cincinnati Reds from 1998 to 2008; and the Baltimore Orioles since 2010. 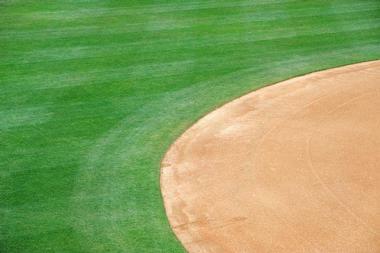 The stadium was fully renovated and opened for spring training in February 2011. The seats in the newly renovated stadium are refurbished seats from Oriole Park at Camden Yards, the Oriole’s home ballpark. The seating capacity of the stadium is 7,428 spectators. The Marietta Museum of Art and Whimsy will surely put a smile on your face. Marietta Lee, an artist herself, has been organizing this fun, eclectic collection of art from all kinds of media since 2006 in order to “preserve work of artistic and whimsical importance.” What Marietta is trying to tell us with her colorful and bright collection is to lighten up and not take ourselves so seriously. The artwork in the gallery, halls, garden, entrance hall, and even bathroom will lift your spirits and, as is Marietta’s hope, inspire your own creativity. In fact, the museum invites all artists who believe that their work would fit the museum’s philosophy to bring in some of their work. Admission is free. Sarasota National Cemetery was established in 2007 to serve as a resting place for the country’s veterans. This new 295-acre cemetery has space for about 18,200 gravesites, with 15,200 crypts, 9,000 in-ground spots, and almost 7,200 aboveground niches for ashes. The cemetery also has a public information and administration center complex. 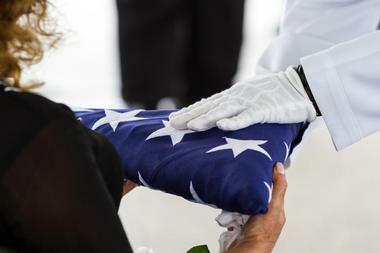 The center is equipped with an electronic locator for gravesite, restrooms, a maintenance building, an area for flag assembly, and a memorial walkway. Patriot Plaza, donated by the Patterson Foundation of Sarasota, is a 2,800-seat amphitheater where all the ceremonies take place. The plaza has a number of commissioned art pieces, which can be seen during a guided tour. Sarasota Jungle Gardens is a garden and animal attraction located on Bay Shore Road. Founded in 1939, it is one of the oldest continuously operated attractions in the state. The gardens started with 10 acres of land which were planted with thousands of tropical flowers and trees from all over the world. In the 1970s, the first Exotic Bird Show was created and featured cockatoos and macaws. Gradually more animals and shows were added. Today, the gardens are home to a large variety of animals including parrots, small mammals, and primates as well as many reptiles such as alligators, crocodiles, iguanas, lizards, and snakes. There are also many pink flamingos in the garden. The Van Wezel Performing Arts Hall is an architectural landmark and popular venue for comedy, dance, music, and theater performances. Built between 1968 and 1969 with funds donated by Lewis and Eugenia Van Wezel, the hall was renovated in 2000. It has a seating capacity of 1,736 people and the 6,000 square foot Grand Foyer can seat up to 350 people. This opens up to the Terrace and Bayfront lawn which adds 1,500 more seats. 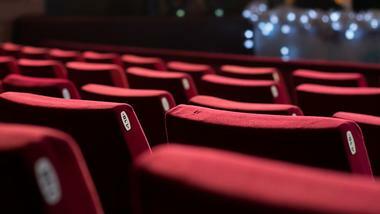 If you are looking for romantic date ideas, see a performance at the Van Wezel Performing Arts Hall. The hall has a separate Education Center and offers a wide variety of education outreach programs for toddlers up to senior citizens. The Westcoast Black Theatre Troupe makes mostly musicals, from well-known Broadway hits to those created entirely by WBTT’s Artistic Director and Founder Nate Jacob. Nate, director, singer, actor, and playwright, founded WBTT in 1999 as a grass-roots organization and witnessed it grow into a well-respected and popular not-for-profit professional theatre. 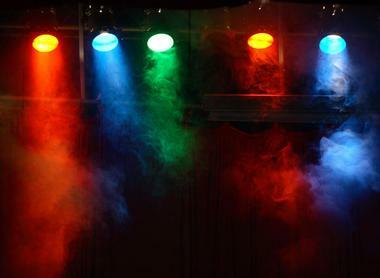 The Troupe produces five shows per season in their own theatre. The WBTT is the only Florida west coast professional black theatre. Besides musicals, WBTT is known for producing relevant, thought-provoking dramas written by well-known playwrights such as Lorraine Hansberry and August Wilson. The Troupe also takes part in a number of educational and community outreach programs. There is nothing like strolling through a bustling market on a warm Saturday morning, checking the juicy, colorful fruits and veggies, grabbing a piece of cheesecake or a cup of coffee, and listening to the chatter of vendors and buyers and the music in the background. Every Saturday, year round, the Central Sarasota Farmers Market opens its doors (figuratively) to local farmers, bakers, artisans, and musicians. 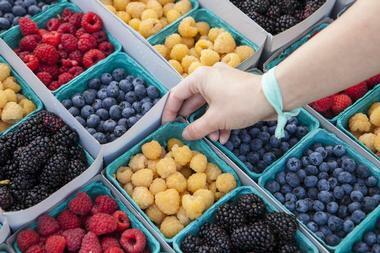 All the vendors are growers or farmers who are happy to share their farming experiences with customers. The place is lively and crowded, and the number of vendors, as well as shoppers, is steadily growing. The market is situated in front of the Sarasota County Technical Institute. 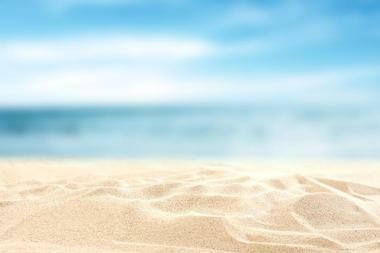 It is very tempting to do absolutely nothing in Sarasota except lying on the beach and drinking tall drinks. 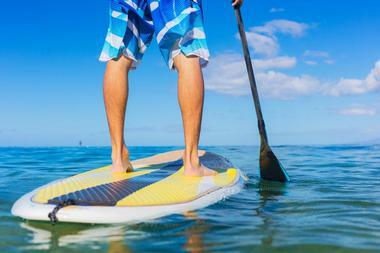 But, if you are not that type, one fun thing you can do is rent a kayak or paddleboard. Sarasota Paddleboard Company uses only the best possible equipment and will deliver a kayak or a paddleboard to your hotel or home if you feel confident doing it on your own. If you are a novice, they will provide an instructor to go with you, teach you, and show you around. You can to visit Ted Sperling Nature Park, explore mangrove tunnels, watch manatees or dolphins in their natural environment, or just paddle around along the beaches and enjoy yourself. Drum Circle Distilling was born as a product of too many rum drinks consumed while the sun was setting over the Gulf of Mexico. We will never know whether it was too much sun, the lovely sandy beaches, or some really good rum, but the idea for an artisanal rum distillery was born, and it resulted in the purchase of a custom designed still. The still was small but beautiful with shiny copper parts that are known for making rum so smooth. 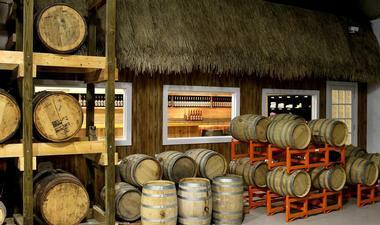 The great still, local sugar cane, and natural spices resulted in the Siesta Key, a very fine rum that earns stellar reviews even in magazines from the Caribbean. Check their tasting room for free samples and a chat with the makers – they are always willing to talk about their product. Nathan Benderson Park started as a pretty but ordinary park with a large man-made lake in its center. It was great for a run, hike, a dog walk, or paddling a kayak or a paddleboard. Then rowers discovered it. Apparently, this unique 600-acre park with its 400-acre lake has been declared as one of the few facilities in North America with all necessary natural attributes for a first class rowing facility. As a result, the park started having regular regatta competitions, and it acquired a range of facilities necessary for this sport: racing lanes, coaching lanes, straight shorelines, wave attenuation, a boathouse, a training center, start and finish huts and towers, grand stands for spectators, and a modern boat maintenance facility. Don’t worry, you can still take a spin around the lake on your bike or bring a picnic basket for a Sunday lunch on the grass. Covering 37,000 acres, Myakka River State Park is one of Florida’s biggest and oldest parks. It includes portions of Sarasota County as well as parts of Manatee County. It is named after the Myakka River which flows through 58 square miles of a variety of habitats such as hammocks, pinelands, prairies, and wetlands. There is a boardwalk for viewing wildlife and a canopy walkway above the treetops. 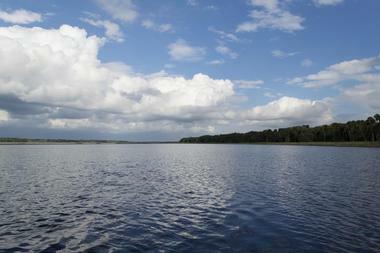 In addition to the river there are two lakes: here visitors can canoe, fish, and kayak. There are also hiking trails through the dry prairie section of the park. Legacy Trail is a paved trail that runs from Sarasota south to Venice. Opened in 2008 along a historic rail corridor, the 10.8 mile long trail is considered to be one of the best biking trails in Florida. The original railroad line was built in 1911 and was in use until the early 2000s when it was abandoned. The trail begins in the north near Palmer Ranch and runs through Oscar Scherer State Park in Osprey where it connects with other trails in the park. The trail continues south through Nokomis, Dona Bay, and connects to the Venetian Waterway Park in Venice. Reminders of the former railroad line include the original mile numbering system. Housed in the Sarasota Opera House on North Pineapple Avenue, Sarasota Opera is a professional opera company. Originally founded as the Asolo Opera Guild, the opera acquired the Sarasota Opera House, formerly known as the Edwards Theatre, in 1979, and opened in 1984. The opera house was renovated and reopened in 2008. 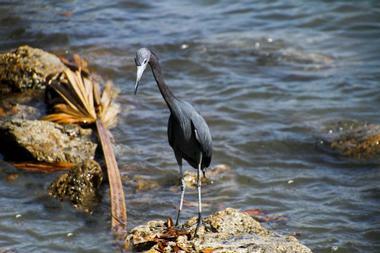 South Lido Park is a Sarasota County park located on Benjamin Franklin Drive. It is a waterfront park on Lido Key just north of Big Sarasota Pass. The park is located on the former land of Otto Schmidt Zoldan, a pioneer who applied for a homestead at the southern tip of Lido Key in 1904. His claim was granted in 1910 and included most of the land that is now South Lido Park. 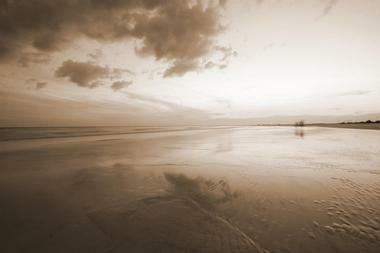 Lido Key was originally known as Sarasota Key until the Ringling Isles development in the 1920’s when it was renamed. 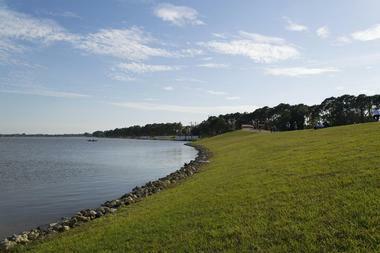 Established in 1974, the park features trails, picnic areas, bird-watching, kayaking, and swimming. The Florida Studio Theatre is a non-profit theater that produces contemporary plays performed at a variety of locations, including the Green Room Cafe and Bar, the Bowne Lab Theatre, the John C. Court Cabaret, the Goldstein Cabaret, and the historic Keating and Gompertz Theatres. 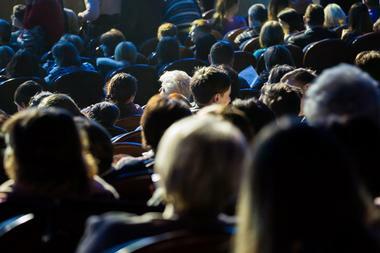 The theater operates several programs such as Stage III, New Play Development, the Cabaret Series, the Mainstage Series, and more. Florida Studio Theatre Improv is a popular comedy troupe that performs humorous sketches at the Bowne Lab Theatre. The theater offers a number of education outreach programs. 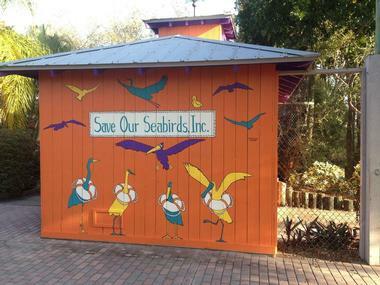 Save Our Seabirds is a wildlife conservation center located on Ken Thompson Parkway adjacent to Mote Marine Aquarium. The center rescues and cares for sick and injured wild birds and then releases them back into their natural habitats. Any bird that cannot be returned to the wild stays at the Wild Bird Learning Center, part of Save Our Seabirds. Sitting on three acres of land, the center houses over 150 birds. This serves as an outdoor museum that is part of the education outreach program of the center. There are educational signs placed around the outdoor museum and there are live displays. The center also offers field trips and summer camps for children. Housed in a 60,000 square foot facility, the Sarasota Classic Car Museum is the second oldest continuously operating classic car museum in the United States. 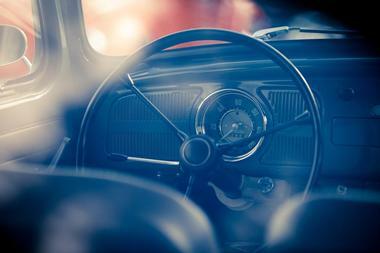 The collection contains more than 75 vintage, exotic, and one-of-a kind cars and the displays rotate on a regular basis. Some of the cars were owned by famous people including John Lennon’s 1965 Mercedes Benz, John and Mable Ringling’s collection of Rolls Royce cars, and many more. The Italian Car Collection includes such makes as Alfa Romeo, Ferrari, and Rivolta. Founded in 1949 as the Florida West Coast Symphony, the Sarasota Orchestra is the oldest continuing orchestra in the state of Florida. The orchestra’s home is Holley Hall in the Beatrice Friedman Symphony Center. Consisting of 80 members, the orchestra performs over 100 classical, family, and pops concerts every year in Sarasota county as well as in Charlotte and Manatee counties. 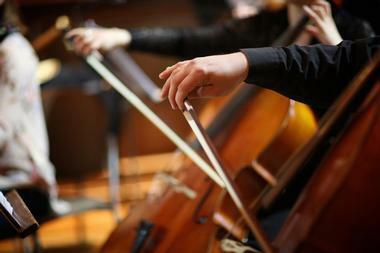 The orchestra’s education program includes the Youth Orchestra which was established in 1959. 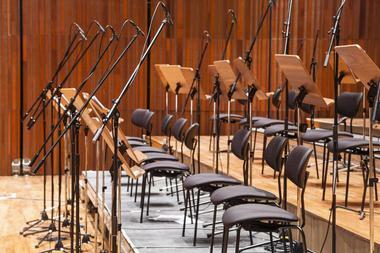 This orchestra is made up of seven ensembles: the most advanced ensemble, the Youth Philharmonic, made its debut at Carnegie Hall in New York City in 2008. The Celery Fields is an area of wetlands owned by Sarasota County. The wetlands site is found on the Great Florida Birding Trail and features an observation mound, trails, and ponds. Covering more than 360 acres, the site is also Sarasota County’s main storm water collection zone. Restoration of 100 acres of the wetlands included planting over 200,000 aquatic trees and plants as well as the construction of two boardwalks so that the public can see the wetlands and the wildlife. The site is a popular place for bird-watching and 217 species of birds have been seen here.